Crab Cakes are flavorful and delicious. This crispy fresh crab cake recipe is an easy and upscale dinner or appetizer when served with remoulade sauce. 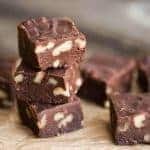 If you’re looking for a recipe that will impress, this is it! Pin it to your SEAFOOD BOARD to SAVE it for later! A good crab cake is my weakness. There’s nothing quite like tender pieces of real crab held together in a flavorful crab cake, cooked to crisp perfection. These can totally be served as a main course or an appetizer. However you choose to make them, make a lot, because everyone will love these homemade crab cakes! A crab cake is simply a mixture of cooked crab that is held together with some kind of binder and then fried until crispy and golden on the outside. Of course, the ingredients you add to your crab cakes can drastically change the flavor and texture. 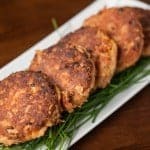 Very similar to when I make my salmon patties, everyone seems to find their own technique and recipe that they like best. Crab cakes are a super tasty appetizer to serve before dinner or at parties. 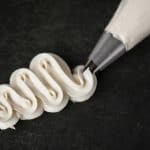 They make for a great main course too, especially if you’re preparing a special dinner. Yes! 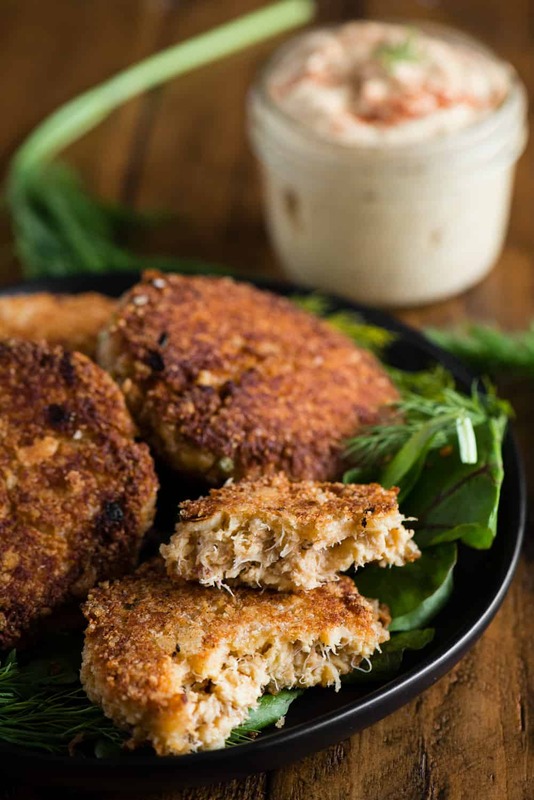 The best way to prepare homemade crab cakes ahead of time is to mix all of the ingredients together, coat them with the bread crumb and parmesan mixture, and keep them refrigerated until they are ready to cook. Preparing the crab cakes ahead of time like this is always a great idea, especially when you’re entertaining, because all of the prep work and mess and done ahead of time. Once you’re ready to cook the crab cakes, they only take a few minutes until they’re ready to serve. They are such an easy yet rich and decadent option to enjoy seafood. What food goes well with crab cakes? Since I consider crab cakes to be on the rich and heavy side, I always prefer to serve them along side a lightly dressed salad of dark micro greens. There’s something about pairing a super nutrient rich salad with a decadent crab cake that makes my mouth sing! My favorite salad dressing for a light and easy salad is my Lemon Vinaigrette. How long do crab cakes last in the refrigerator? I would recommend enjoying your crab cakes immediately. They always taste best right out of the pan. I do, however, think cold leftover crab cakes are excellent on salad. In fact, I enjoyed these crab cakes on a giant green salad with homemade ranch dressing. YUM! If you’re going to be storing leftover crab cakes, they should last about 3-5 days in the refrigerator. 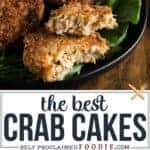 What is the best way to cook a crab cake? I think the best way to cook a crab cake is in a frying pan on the stove top in a mixture of butter and olive oil. I coat my crab cakes in both panko bread crumbs and parmesan cheese. When fried, this yields a crispy golden brown outer layer. If you prefer, you can also broil or air fry your crab cakes. 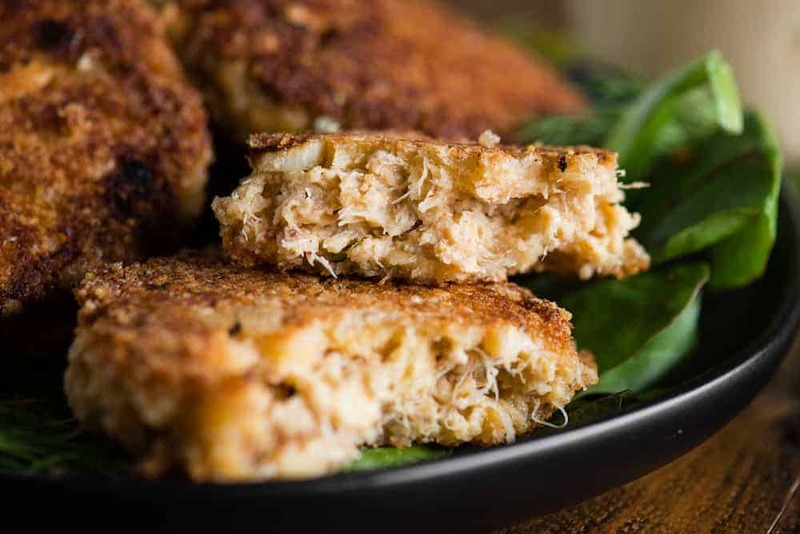 the end result might be a crab cake that isn’t as crispy on the outside and moist in the inside, but those alternate cooking methods should work. What sauce is good on a crab cake? I made a homemade remoulade sauce. It’s a mayonnaise base sauce with a Cajun kick. These crab cakes are so rich and delicious, they don’t actually require a sauce to full enjoy them. But pass me a good sauce and I’ll never say no! Crab Cakes are flavorful and delicious. 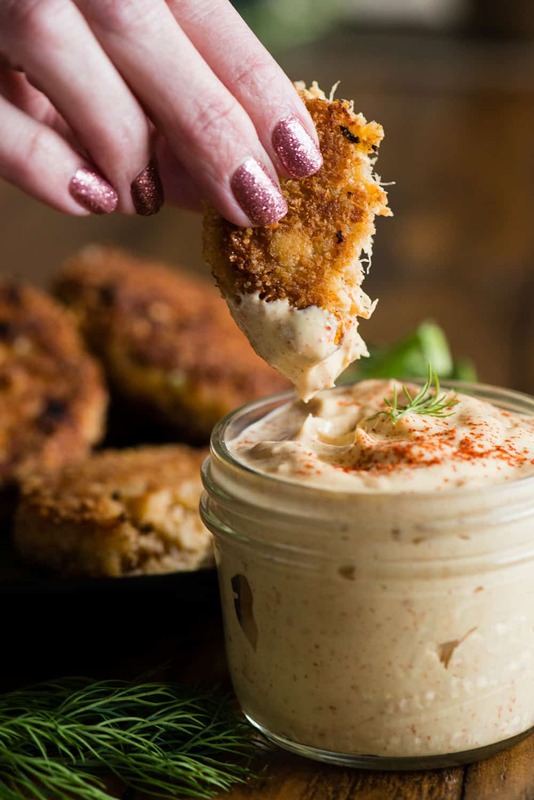 This crispy fresh crab cake recipe is an easy and upscale dinner or appetizer when served with remoulade sauce. Add crab meat to medium sized bowl and drain out any excess liquid. Combine crab with egg, mayonnaise, lemon juice, green onions, roasted garlic, cracker crumbs, Old Bay seasoning, and red pepper flakes. Combine panko bread crumbs and parmesan on plate. Divide the crab mixture into four equal portions. Coat both sides with bread crumb parmesan mixture. If crab mixture was pretty wet, continue to flip and coat crab cake until it holds it's shape (that's why you might need to add more bread crumbs and parmesan as needed). Place breaded crab cakes in the hot oil. Cook until golden brown, flipping only once, about 3-5 minutes each side. Serve crab cakes hot with remoulade sauce (recipe link in notes). Crab cakes are also delicious cold and leftover on a salad. Recipe makes four crab cakes. Nutritional info based on one crab cake per serving. 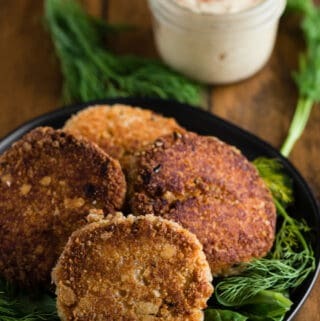 I love Crab Cakes & these sound delicious!! Thanks for the recipe 🙂 Do you think I could use canned crab? I think yes. I ended up using frozen crab. As long as it’s not imitation crab! What a great appetizer idea! Thanks for including a dipping sauce suggestion, too. Will need to try these! 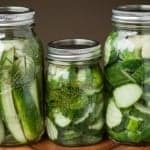 These are perfect for an appetizer or a side dish! 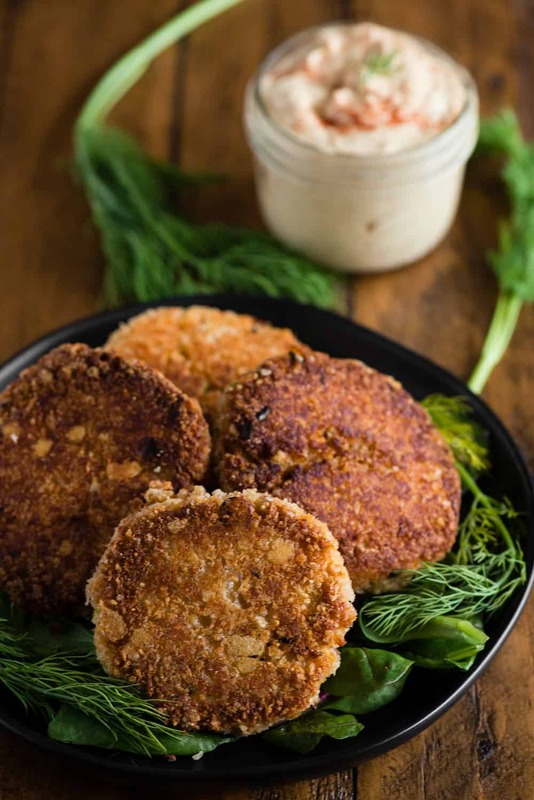 These crab cakes look wonderful and that sauce sounds like the perfect condiment to pair these deliciously good looking crab cakes. 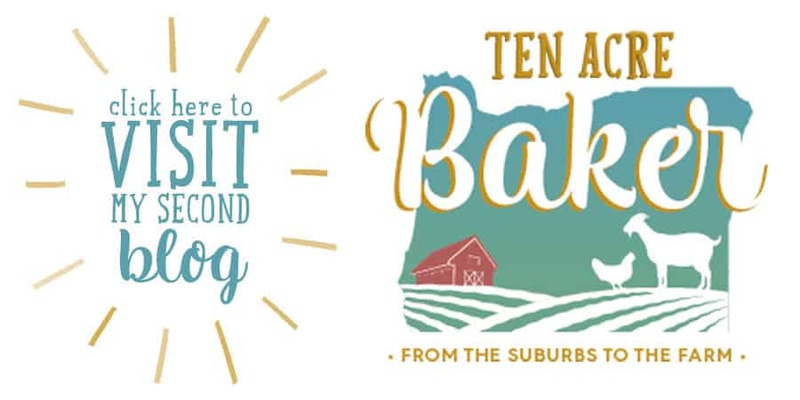 I think I might make this tomorrow— if given the chance for our Home Owners Association Meet and Greet. This is super delicious and mouth melting. Nothing like biting into plain Crab Meat. Looks crunchy and yummy.